Changes In Australian Cannabis Seeds Law? 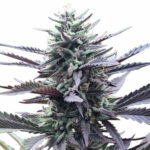 When it comes to Marijuana and Cannabis seeds Australia have always maintained a hard stance and prohibited them from being germinated and grown. Together with all of the Commonwealth countries, and many European countries, Cannabis seeds and ultimately, the Cannabis plant have always been classified as illegal and therefore very little research was undertaken into their value as a medicine. For more than two decades. many of the worlds most prominent research scientists and doctors have been amassing evidence that proves a variety of cannabinoids found in Cannabis, can have a positive effect on a wide number of ailments. Until recently, properly conducted research into the medical benefits of Cannabis and Marijuana has been sparse, predominately due to it’s illegal status in most countries. 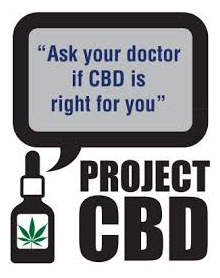 However, with more than nineteen states in America now making medical marijuana legal for a wide number of ailments, as well as Washington and Colorado state totally legalizing the plant to people of adult age, much more medical research has been undertaken to evaluate the medical properties associated with THC, CBD abd CDN, three of the primary chemicals found in Cannabis. Now it seems, Australia are also beginning medical trials into the use of Cannabis and Marijuana based medicines. Similar to the United States of America, Australia is split into several States. Each of these states can make their own laws, to a degree, with the ultimate responsibility resting with the Federal government. During the last month Cannabis Seeds Australia.com has printed several articles regarding the increasing number of states that are considering, or beginning medical Cannabis trials, with the Federal government seemingly in agreement. In November, the Regulator of Medicinal Cannabis bill is to be put to the Senate. It is necessary so as to allow the individual States and Territories the ability to amend their own laws, so as patients legally have access to the drugs, without breaking federal law. The bill has attracted cross-party support and is believed to be supported by Prime Minister Malcolm Turnbull. The states of New South Wales and Victoria are heavily supporting the right to allow patients medical cannabis under prescription. In fact, it was announced on Tuesday 27th October 2015, that the government of New South Wales will begin trials as early as next year, with a joint venture partnering GW Pharmaceuticals, a British based company with interests in Cannabis medicines. Although the full legalization of Cannabis in Australia looks a distant dream, at least it’s acceptance as a medicinal plant can be counted a success, compared to a decade ago where the idea would never have even been seriously debated, and the chant of War on Drugs was the key-word of the moment.